A friend and quilting genius warned me that using Little Folks voile on the back of a quilt posed a great problem with basting. 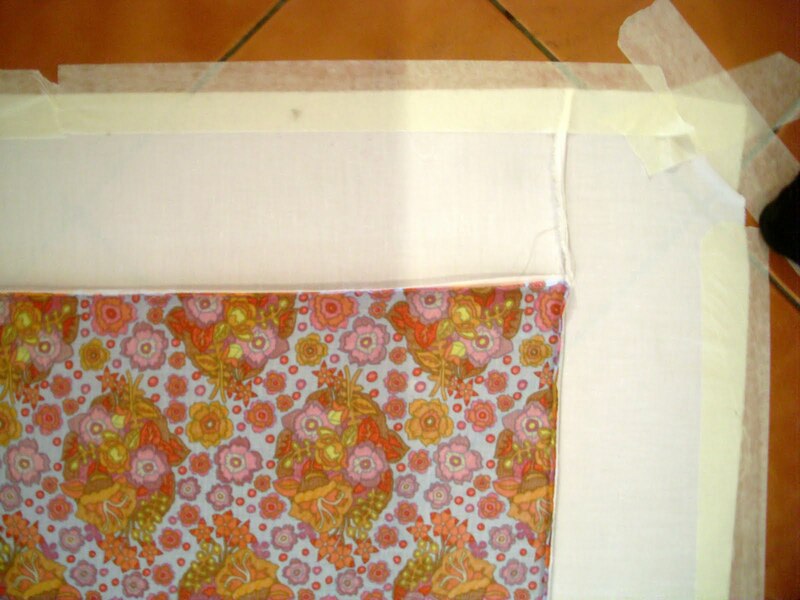 The gorgeous soft flowing fabric simply would NOT stick to the masking tape used to hold it flat on the floor. Well, I had a small stroke of genius the other night and realised that all I had to do was sew some cotton around the edges of the backing and stick the masking tape down to THAT. Here is the whole backing (wrong side) taped down ready for basting. 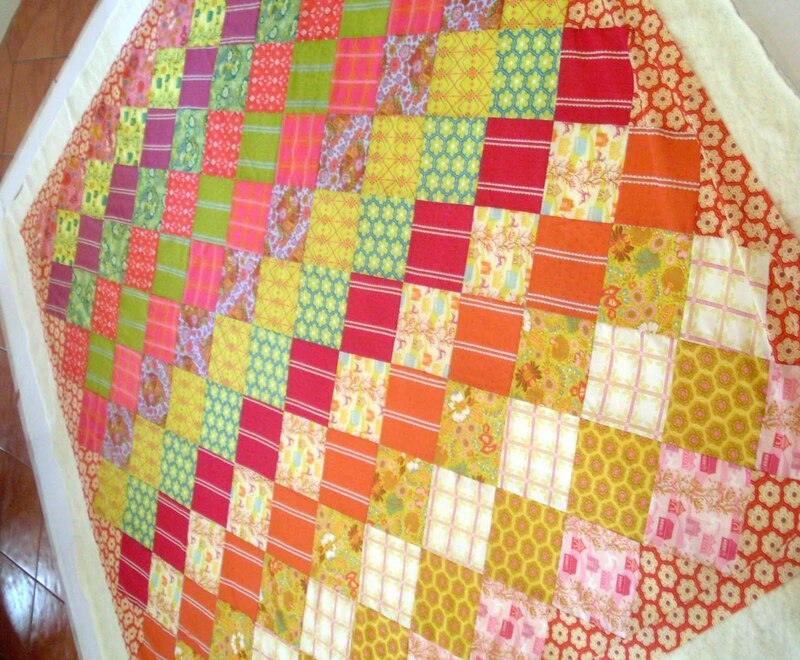 This is seriously going to be the softest snuggliest quilt I have ever made!! 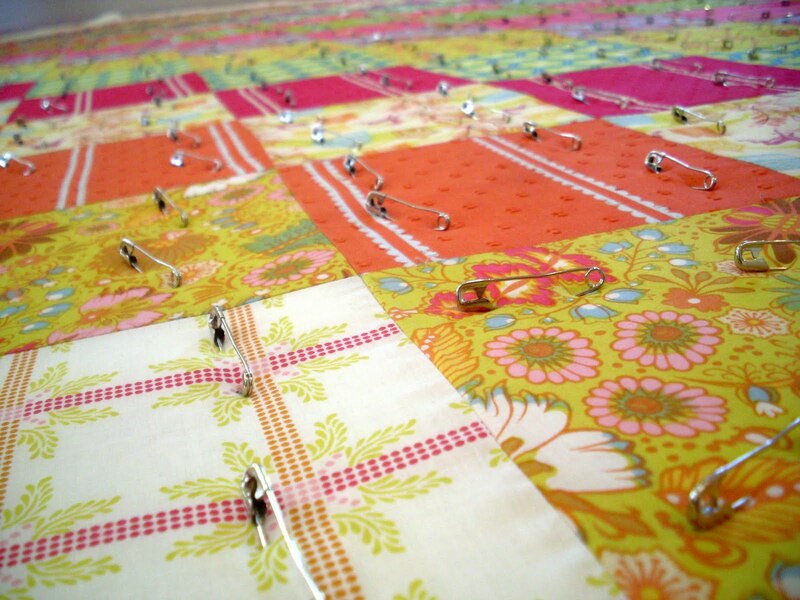 It's nice to have a hand quilting project to keep my knees warm on cold evenings. This is going to be a beautiful quilt! I have some voile, but I'm afraid to sew with it. Your basting tip is much appreciated! Genius idea with the cotton around the edges. I love the quilt (back and front!) it's beautiful! I can vouch for its softness - sooo snuggly!! I have tat voile too! It is difficult to sew with. I'm using little folks with good folks and the little folks is reeeealy silky. Your quilt is gorgeous! Aha, I love a cunning plan! Both the front an back look beautiful! YOUR POOR KNEES! Are they ok? You'd have to be doing Institute of Sport style training to have knees capable of 700 basting pin application. Did you eat a bowl of pasta a few hours before? (PS. 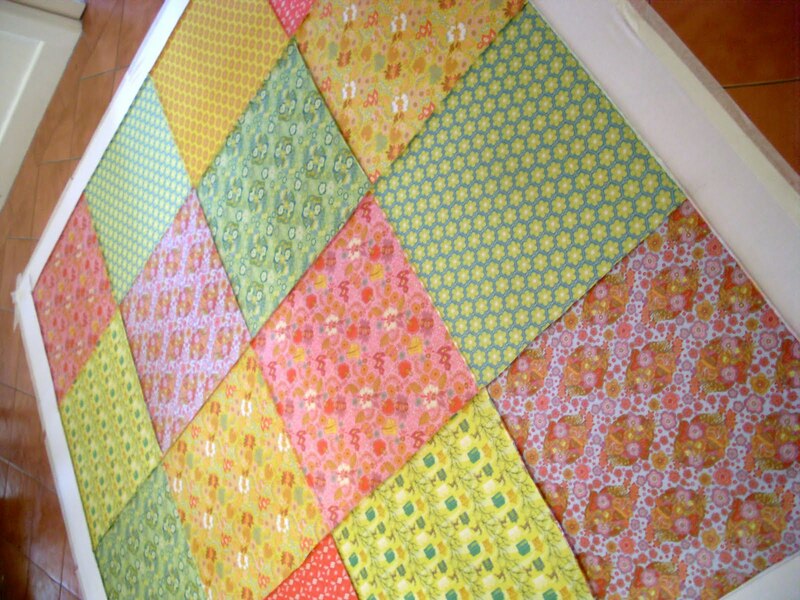 A – that is one glorious quilt in the making). Great solution! That is a good tip if I ever end up using the voile for backing. I am amazed to hear how many pins you used - wow, that's perseverance. Oh, she's such a clever chappie! It is the most divine soft fabric for a quilt isn't it. Brilliant solution to the basting problem. Did I tell you it doesn't stick to basting spray either - weird but worth all the effort. Your quilt is going to be beautiful!! making the quilt I have planned with the AMH voiles because of the "it won't stick" issue. Oooh brilliant! I've not worked with the voile yet but I've heard plenty of the non-sticking problems. I pass by Little Folks voile and touch it and think how beautiful! I am so looking forward to the clever girls to work out the tricks to handle such fine fabric - how peaceful those little ones must feel swathed in this fabric - keep at it, Andi - beautiful! Gorgeous gorgeous quilt! Great basting idea! Wow Andi, it's going to look so amazing! Oh I can't wait to see it done! It looks fabulous! Inspiration - Where do you find yours? Maddie needs a big girl quilt!! The Craft Room ... wanna come? ?